NOT YOUR TYPICAL AMUSEMENT PARK FOOD! Splash Island Water Park St. Lucia is located right next to the newly opened SeaGrapes Beach Bar at Bay Gardens Beach Resort & Spa. Offering a relaxed, rustic atmosphere with incredible views of the Caribbean Sea with Pigeon Island National Landmark in the background, SeaGrapes is the perfect place to unwind and recharge after a day of fun at this St. Lucian Water Park. SeaGrapes serves a variety of Caribbean and international snacks, sandwiches and main courses at lunch time from 11:00am to 5:00pm daily. Kid friendly options including pop corn, cotton candy, hot dogs, hamburgers, fish tenders and fruit bowls are also available. Click here to view the Seagrapes Lunch Menu. 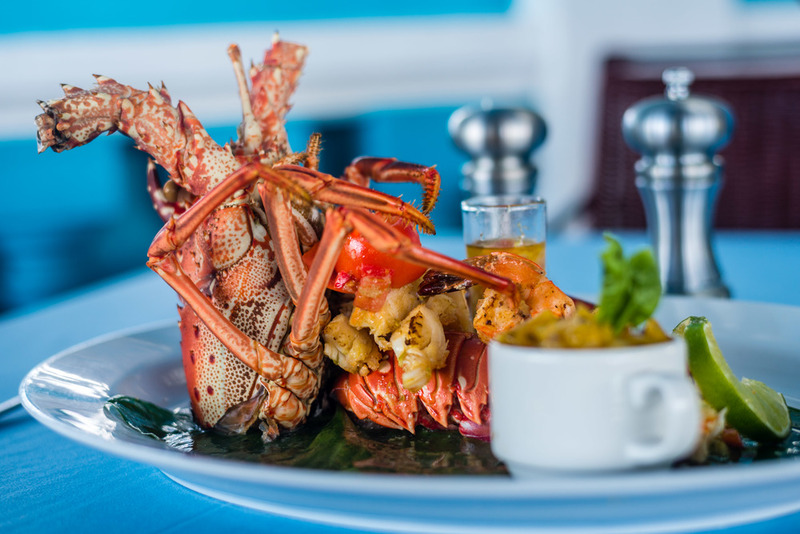 Splash Island guests are also welcome to sample the delicacies of the award winning Hi Tide Restaurant just a few steps away and also located at Bay Gardens Beach Resort & Spa. Splash Island guests are also free to make use of the Bay Gardens Beach Resort's other facilities (charges and certain restrictions apply) which include La Mer Spa and Saluna Watersports. Day Pass packages are available at affordable prices. Please visit www.baygardensresorts.com for more details. Located right next to Splash Island at Bay Gardens Beach Resort & Spa. Enjoy St. Lucia Water Sports at Bay Gardens Beach Resort & Spa. Unwind after a day at the park at La Mer Spa just steps away at Bay Gardens Beach Resort & Spa.